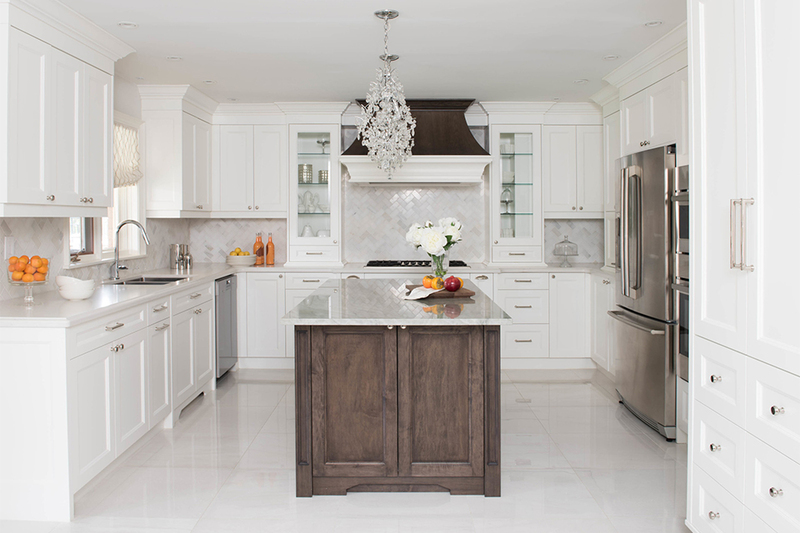 Classic meets contemporary in this beautiful open concept kitchen by designer Dvira Ovadia. The serene space is featured on the cover of the recently released spring issue of Beautiful Design Made Simple magazine, and today we're taking you behind the design in an exclusive Q&A. What were your client’s needs for this space? A classic kitchen for a busy family that was open and inviting to the adjacent living and breakfast nook. Were there any limitations you had to overcome in order to meet those needs? I created the look of a grand kitchen, while the space deceivingly appears quite large, it is indeed smaller than average kitchen, and alongside we were also working with 11 foot ceiling. So that challenge was to manage the small footprint while downplaying the over-sized ceiling heights. When it comes to kitchen cabinetry, what are a few design elements that you can’t do without? The stove and hood are often front and center in a kitchen, some of my must-haves are a stylish looking gas stove with a beautiful hood to anchor the kitchen. I also like to do away with the look of the bulky stainless appliances and opt for a paneled fridge that blends seamlessly into the cabinetry. Let’s talk countertops. What are your go-to materials? I love the combination of natural stone for a unique feature and Quartz countertops from Quartex Surfaces, for a perfect combination of function and style. The quartz product is very durable, non-porous and a lot more affordable than some of the exotic natural stones. The palette of this space is simply breathtaking. How did these colors come together? 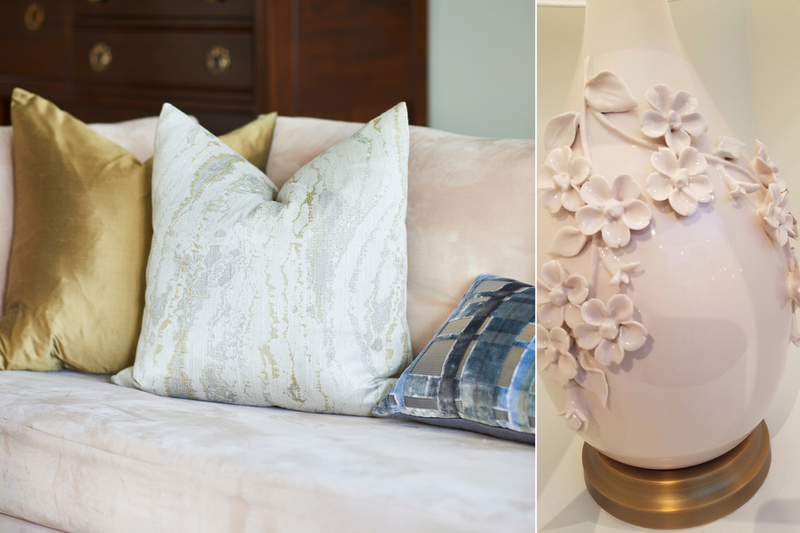 We wanted to create a soothing palate that was both classic and contemporary. The light grey blue is an accent that feels subtle and refreshing. Tell us about the flooring. Is it unique to the kitchen or an extension of adjacent living spaces? The beautiful warm colored hardwood floor is carried out across the main floor and allows the kitchen to become part of the natural flow of the home without being broken up by a different flooring material. The pinwheel backsplash is so fun. What advice do you give clients when it comes to choosing this feature? The pattern has interest, yet it's monochromatic. Choosing something with a tone-on-tone color allows you to achieve this look without feeling too bold. What is your favorite kitchen design trend that we’re currently seeing in interiors? I love all the technology that is enhancing the design of our kitchens, from unique hardware to specialty lighting and even very savvy appliances that allow you to preheat your oven from the touch of your smart phone on your drive home from work and also have the ability to recognize when your food is expiring in your fridge.